Vanguard sought the expertise of Logic Solutions to develop a sophisticated corporate website complete with web applications, multi-lingual support, and eCommerce components. In addition, Vanguard desired to create three different divisions of their current website including separate portals for distributors, dealers, and consumers. Strengthed Vanguard’s reputation as an industry leader by developing a strong eCommerce component. 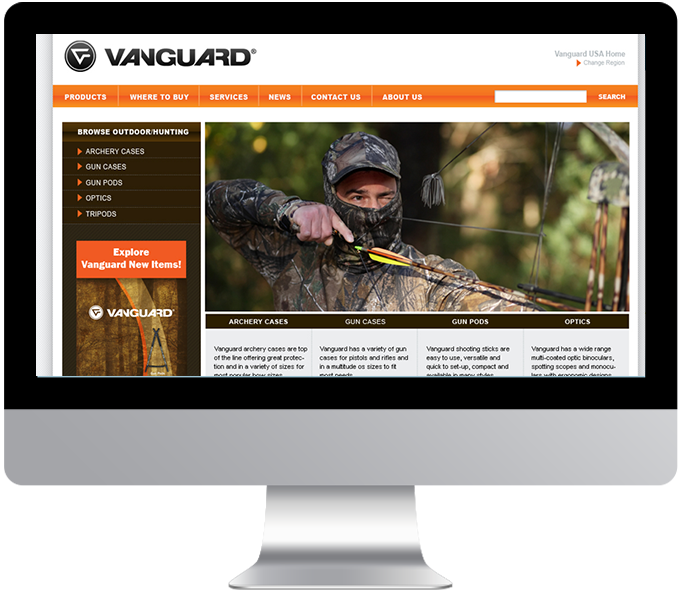 Logic worked with Vanguard to develop a complete redesign of Vanguard’s website including a modernized user interface. Logic created an entire product catalog based on Vanguard’s information using VirtuMart, Joomla’s eCommerce package that seamlessly integrates with the corresponding Content Management System. Logic enhanced the product catalog to set it apart from the competition by offering 360-degree views complete with zoom options, as well as videos and detailed product descriptions. 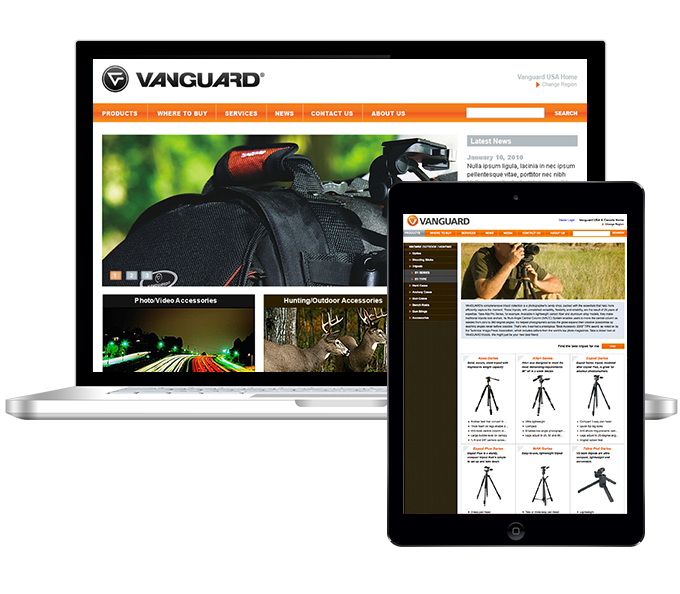 Logic worked in accordance with Vanguard’s objectives to create three portals to the website. The public site for consumers is universal for all users with the exception of language. The dealer and distributor portals have parallel functionality but differ in content. Logic coded the dealer site to be reserved exclusively for use by authorized Vanguard dealers. The dealer site is separated into two divisions, one for Photo/Video and one for Outdoor Sporting/Hunting. In addition to browsing Vanguard’s entire online catalog, Logic also architected an extensive filterable database so dealers have the functionality to seek out and order products best suited to their clients’ needs. In addition, the dealer site also includes media links to a professionally maintained photography blog. The blog integrates with Joomla and features expert how-to articles and interviews with industry celebrities. The Distributor Center Website is reserved for authorized Vanguard distributors and used primarily for internal operations. The site is also split into two separate sites: Photo/Video and Outdoor Sporting/Hunting. Both distributor sites have identical functionality. Logic integrated several leading eCommerce elements to the website such as promotions, e-coupons, popular sales and analytics. Logic created an easy to navigate site with the user in mind. All information is retrievable with 2-3 clicks. Logic created the website with high-security standards in place to protect both the customers and Vanguard itself. The final phase of the project will result in translating the entire website into all 78 dealer countries to provide support for all of Vanguard’s clients.